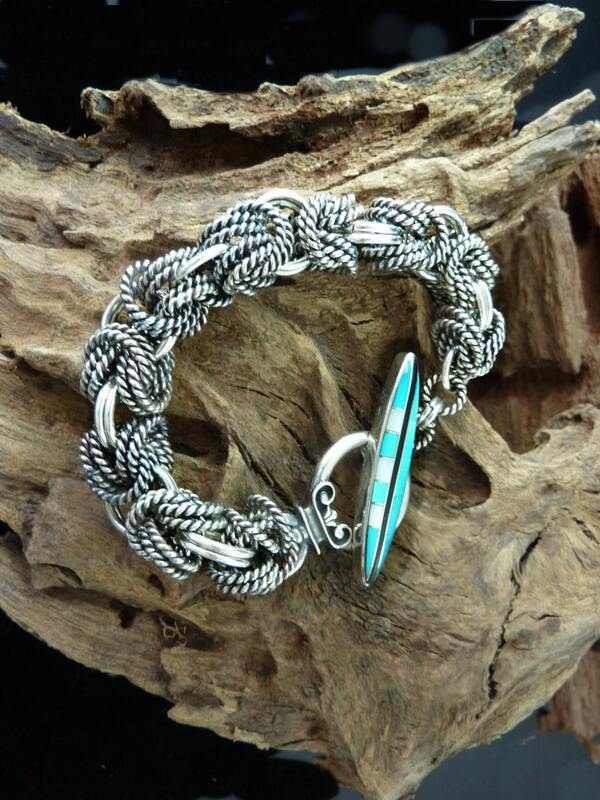 This very beautiful Sterling Silver Double Byzantine Bracelet has the most gorgeous inlaid turquoise toggle. 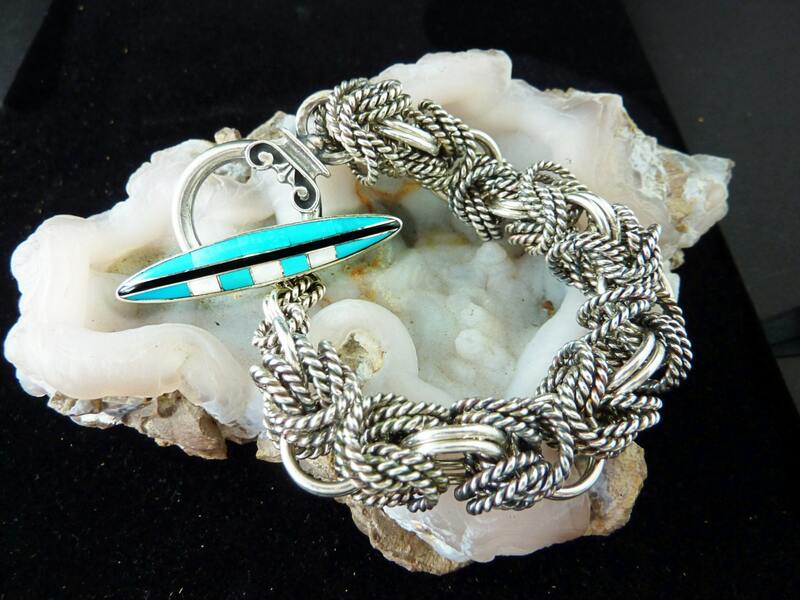 I made this bracelet under the guidance of Joni Kisro in her studio when I was in Tucson this year. I had more fun making this piece...Joni is such a fabulous teacher and there were such nice people there as well. One of the things I love the most about Tucson, is the very interesting and extremely talented people I meet there....and Joni is one of my favorites. Thank you Joni for sharing your talent with others. 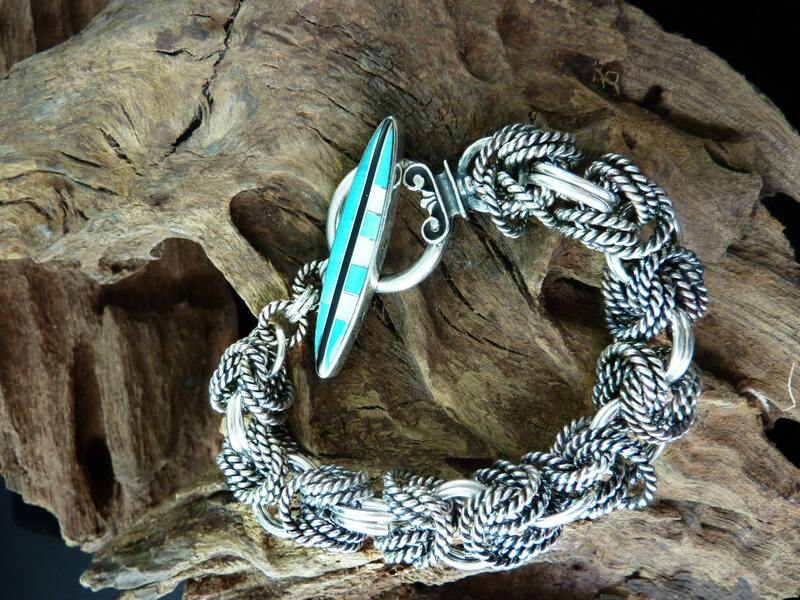 The bracelet weighs 87.4 grams of sterling silver! Wow...that is a lot of silver! It is 7.5" long and the width is almost 3/4 of an inch. 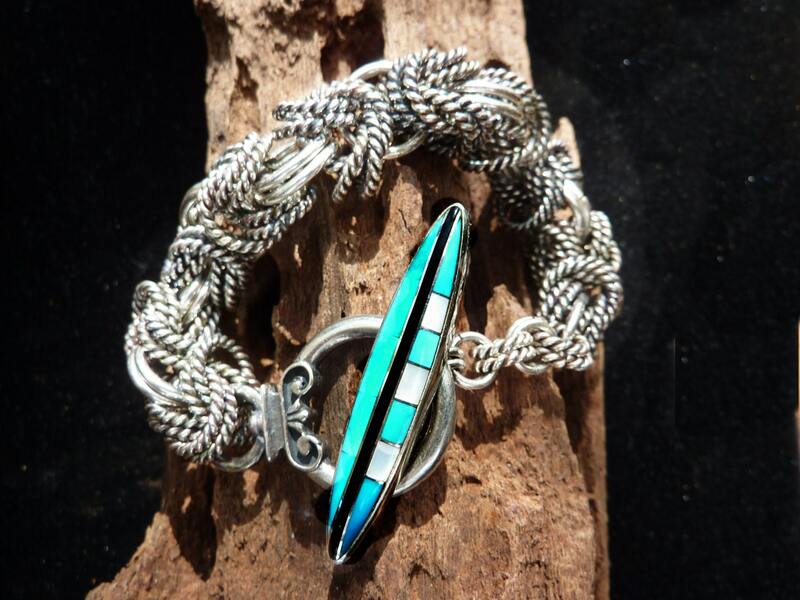 When I first saw one of these bracelets on Joni's wrist, I knew I had to learn how to make it because it is just too beautiful for words. Now I will just let the pictures tell the story for you. CarolesArt strives to provide the highest quality work at the best possible price. If you are not completely satisfied, I will refund the purchase price within 14 days of the transaction. The item must be returned in the same condition in which it came. Buyer assumes all shipping charges on returns. There is a 10 percent restocking fee to cover the fees from etsy and payment methods. If you have any questions or comments, please don't hesitate to contact me. Sorry for the high prices on out of the country shipping, but I want to make my work available to anyone who wants to buy it, and that is what it costs to get delivery confirmation for countries outside of the US.